Did you guys not proofread your cover? It says “SPLAT GOES OBAMA” on the cover. 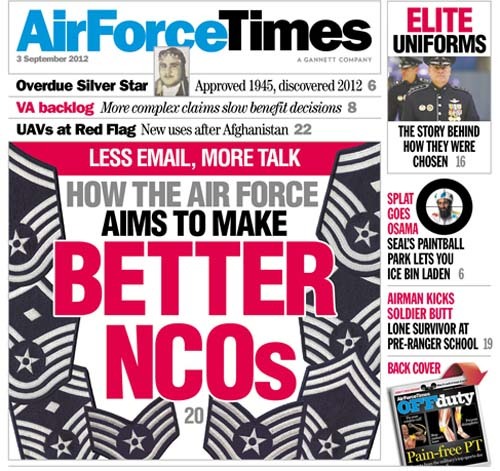 As a former member of the Air Force, I was extremely upset by this. Please tell me this is not a blatant shot at our Commander and Chief! More than a few veterans I spoke with today were visibly upset. This has already reached our base and people are not happy! Please fix it. You LIE. You changed the cover in your difital image above. Your cover that was mailed to my house says “Splat Goes Obama” – there’s journalistic integrity for you.